The great English naturalist Charles Darwin (1809-1882) revolutionized our understanding of life on earth. This site contains all of his works and most of his private papers. Click the links below to access them. Click the finch icon next to each work to see all of its illustrations or maps. This page provides only the major works, for a complete list of his writings see Publications and Manuscripts. Journal of researches into the natural history and geology of the countries visited during the voyage of H.M.S. Beagle. 2d edition. 1845. This is Darwin's classic account describing his travels and discoveries during the five-year Beagle voyage (often called 'Voyage of the Beagle'). On the origin of species by means of natural selection. 1859. Darwin's most famous work, and one of the most important ever written. It revolutionized our understanding of life on earth. 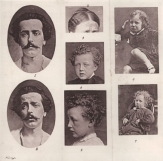 Darwin brings together many convincing kinds of evidence and arguments to show that living things change over time and that they are related to one another genealogically. Diagram from the Origin of Species depicting branching descent with modification. The descent of man. 1871. In this work Darwin demonstrates that the difference between mankind and animals is not one of kind, but of degree. He also argues that sexual selection explains human racial differences. Fig. 1. Upper figure human embryo, from Ecker. Lower figure that of a dog, from Bischoff. In this highly original and illustrated work, Darwin demonstrated the outstanding parallels in the way humans and animals express emotions. The autobiography of Charles Darwin 1809-1882. With the original omissions restored. 1958. The most charming account of Darwin's life, written for his children. 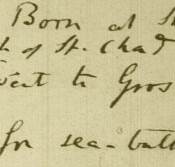 This is the unpublished diary Darwin kept on the Beagle and later used to write Voyage of the Beagle. 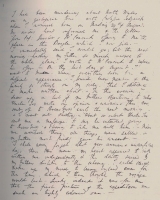 Darwin's daily diary of his life and work. Darwin's list of all the things he would need to take with him on holiday, all the way down to his tooth brush. There are sixty diaries covering the years 1824, 1833-4, 1839-45 and 1848-96. Emma recorded many events such as visits and visitors, dinners and the health of her family including her husband. 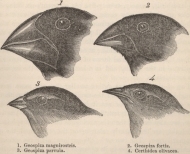 A virtual bookshelf of the works of Charles Darwin. Click on a book to open it. 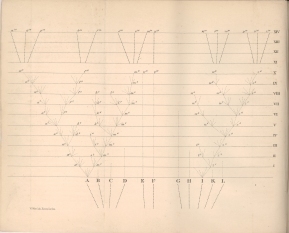 See also: Illustrations on Darwin Online. For a comprehensive list of the materials available on this website see Publications and Manuscripts or Advanced search.